You love your idea. Your friends love your idea. You’ve even created a new business around your idea, and it has boundless potential. However, your competitor has been around for ages (or so it seems), and your potential customers are still flocking to the sure thing. When all is said and done, how do you establish that initial sense of trust in a target audience and make them come to you? How does any new business assure customers it’s reliable? By using an emblem logo! The purpose of a logo is to tell the initial story of your business – the story you want to be telling. Over time, your branding efforts will help you cultivate a nuanced perception of your business – but you only have one chance to make a first impression, which is why you should carefully consider the type of logo you create to represent your brand. Emblems have been around since the earliest known civilizations. They’ve been used for everything from tax collection to marking the official letterheads of bishops and kings. In fact, emblems once served as the ultimate proof that an institution could be trusted. And, while many of the worlds’ emblems are no longer associated with monarchies, our associations with the seal has remained the same: It represents a trustworthy and reliable source. You may have heard of the combination mark, which refers to a logo made up of both text and an image. Emblems take this idea one step further, by incorporating text within a border or frame – ultimately fusing a typeface and image together. The end result? A badge, seal, or crest-like logo, usually round in shape and heavily detailed. One of the main advantages of using an emblem is that it gives your brand a traditional feel and symbolizes longevity. And, if we look back at the definition of a logo, it becomes pretty clear why emblems can make for such effective logos; their design is almost always unique, which makes them stand out, while the badge tells consumers that the brand it represents is timeless. Emblems can be found across industries, from sports teams to the military to universities around the globe. This type of logo looks particularly good when engraved on a uniform, which makes it an easy choice for organizations that want to appear well-established and prestigious. Although this world-famous motorcycle manufacturer has a logo that evolved over time, the design has remained an emblem throughout its century of existence. While the coffee corporation underwent a logo rebrand in 2011, their emblem logo, which they featured for decades, is still among their audience’s favorite. 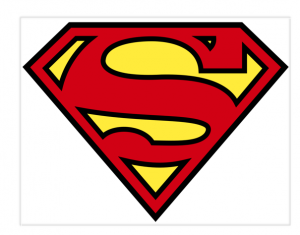 The superhero’s iconic logo first appeared long after the creation of the character in DC Comics, but it has remained a widely-recognized symbol until today. The biggest roadblock you may run into with an emblem logo is scalability. Logos are about getting your business’s name out into the world, and giving your audience a positive, visual image to associate with your brand. As such, you’ll want to put your logo everywhere for it to be effective, whether that’s in the corner of your website or printed on a bumper sticker. However, because of the detailed design that is often typical of an emblem, the logo can become illegible when resized. And, while there are some tools to help you work around this – like a Vector file for offline printing – preserving the design can prove challenging. Like any logo you choose, the emblem is supposed to tell the story of your brand. If you’re still unsure whether an emblem logo is the way to go, try browsing through logo design inspiration sites to see how others have used it and if it coincides with your overall brand message. Happy branding!